This product has been discontinued. The nearest replacement for the 3206_0 is the 3000_1 - Hitec HS-422 Deluxe Servo. 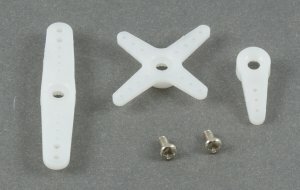 This miniature, light (13 grams) RC servo is ideal for projects where size and weight are important. It has metal gears and generates 1.3kg-cm of torque at 4.8V. 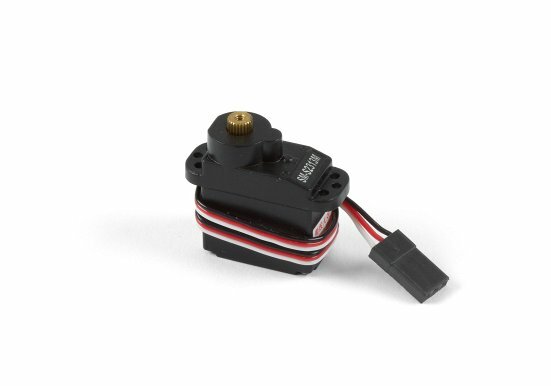 RC servos are hobbyist remote control servos typically used in radio-controlled models, where they provide actuation for various mechanical systems such as the steering of a car, the flaps on a plane, or the rudder of a boat. These servos are not industrial grade and are not recommended for continuous heavy use.